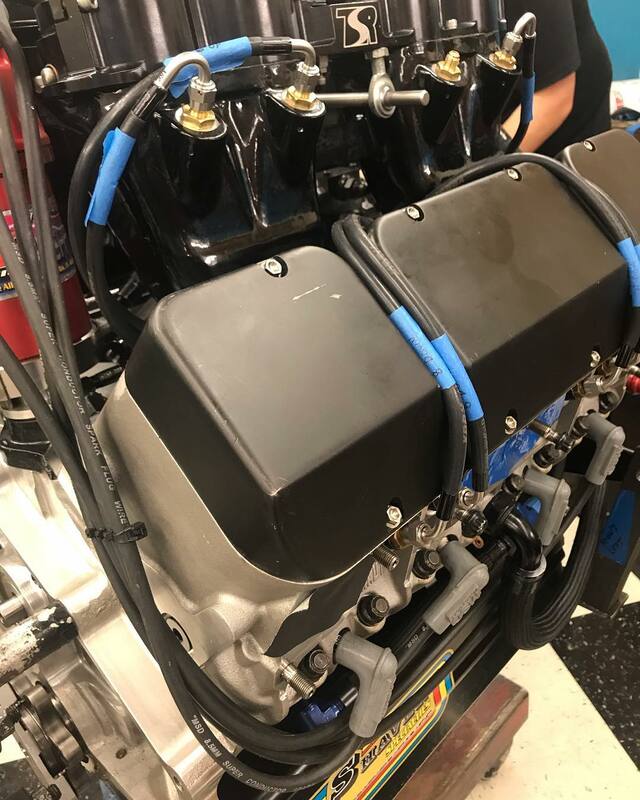 Fitting up a Shaver Racing Sprint motor this morning with 3/16” ID ProPLUS PTFE Fuel Injection Hose with XKS braid and cover. High flow, stainless bent tube hose ends to fit 3/16” ID hose and -3 Nozzles with SAE 45 degree seat angles. (Also available for 37 degree AN/JIC seats.) straights, 30, 45, 60, 90, 120, 150 and 180 degree all with .150” through holes – XRP, Inc.